UPDATED: Wed., June 7, 2017, 9:40 a.m.
As they walk across a stage in cap and gown in the coming weeks, shaking hands with school officials and smiling for their families in the audience, thousands of Washington’s high school students could be wondering for a month or more whether they will actually get a diploma. Passing a controversial biology test that they’ve failed multiple times. Or a negotiated deal in the Legislature. 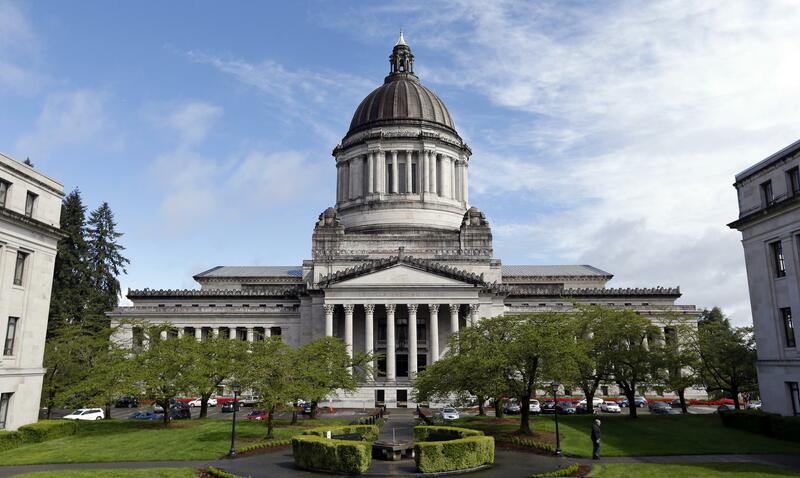 At last count, some 3,300 high school seniors in Washington, about 4 percent of the total statewide, have been unable to pass the biology assessment test, a state requirement for graduation along with separate tests in math and English language. All three tests result in some failures, and schools have developed alternative strategies to help students meet the requirements. But the biology test causes the most problems. Statistics released in May by the Office of the Superintendent of Public Instruction showed that among seniors who still needed to pass one of the tests, the biology failure numbers were twice those of the English test and four times the math test. In Spokane Public Schools, 57 seniors have met every other requirement for graduation except passing the biology assessment test. In the Mead School District, it’s 14. West Valley has two students who haven’t passed the test despite taking it as many as seven times. Like most schools, all three districts will let those seniors participate in the graduation ceremony. Students don’t actually get their diplomas at that time; they’re mailed later in the summer. In 2015, the first year seniors needed a passing grade on the biology assessment test to get their diplomas, the Legislature suspended that requirement because thousands of students who had all the other credits and requirements for graduation had failed multiple times and weren’t going to get diplomas. The Legislature debated for months over how and how long to delay implementation of the test. It finally agreed in mid-July to delay enforcing that requirement until the class of 2017. Seniors who had all their other credits and requirements got their diplomas. Two years later, the problems remain with the test. “It’s really a reading assessment test with a difficult text,” said Travis Schulhauser, director of assessments for Spokane Public Schools. It uses biology content, but actually tests other things, and some students who struggle with reading skills can fail the test even with a good understanding of the science. It was also designed for a biology curriculum the school district no longer uses, he said. “They don’t get any feedback on the test (they failed) so they are just shooting blind” in studying for the next one, said Sue Shields, West Valley School District spokeswoman. The biology test is taken by students at the end of that course, typically in freshman or sophomore year. If they fail the test, they can retake it until they pass, or submit a “collection of evidence” to prove they understand the topic. That collection is also graded, and can be resubmitted if it doesn’t pass. Students who receive a passing grade on the science section of the ACT college readiness test can use that in place of the biology assessment test. This year, the Senate twice unanimously passed a bill to remove the biology test from the graduation requirements until a new science test is available in 2021. The House thrice passed a bill with at least 89 “yes” votes to revise the state student assessment system, and “decouple” it from graduation requirements. Neither chamber has voted on the other’s bill. They keep passing their own bills because of legislative rules that send them back to the chamber where they started when a special session begins. Sen. Andy Billig, D-Spokane, said Tuesday the Senate could take up the House bill in the next two weeks. But the precedent set in 2015 could result in a decision on the assessment tests being made after an agreement on the state’s 2017-19 operating budget, which has yet to be negotiated. The second special session will end in 14 days, and without a budget deal, Gov. Jay Inslee will call a third special session. If that happens, the House would have to vote on its proposal again and send it to the Senate, the Senate pass its bill and send it to the House, or some compromise be worked out that would pass both chambers. If the Legislature acts, seniors who haven’t passed the biology assessment test – and the math and English assessment tests, if those are included – would get their diplomas if they’d met all other graduation requirements. They also have until June 12 to submit their collection of evidence, but grades on those won’t be available until Aug. 25. There’s also an ACT test scheduled for Saturday that they could take in hopes of getting a passing score on the science portion. But without one of those options coming through, students who have completed all other requirements except a successful assessment test will not get a high school diploma. That means some colleges won’t let them enroll, and the military might not let them enlist. To get that diploma, they may have to come back in the fall to retake the test or revise their collection of evidence. Published: June 7, 2017, 6 a.m. Updated: June 7, 2017, 9:40 a.m.